Etsy.com, online handmade goods capital-of-the-world, clearly identifies with their just-need-a-necklace-to-match-this-dress users by offering a color selection tool. Upon rolling over the color grid, a palette presents large swatches for users to select from. When a user clicks a color swatch that appeals, several products of that color are presented. Your users might prefer to shop by budget, service/product type, or additional values that can be presented visually for a more engaging user experience. 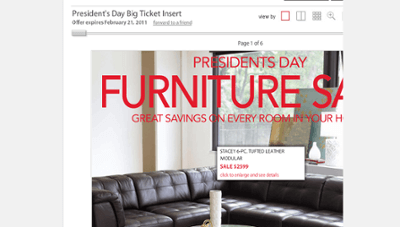 Macy’s utilizes its weekly catalog to create a seamless transition to online purchase. Upon hovering over catalog content, users receive a modal description and pricing for that product – allowing a user to add to cart or review more information. Your users might prefer to visualize a package then select components of the package that appeal. 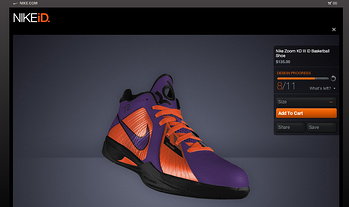 Nike puts its customers to work designing shoes with NikeID. 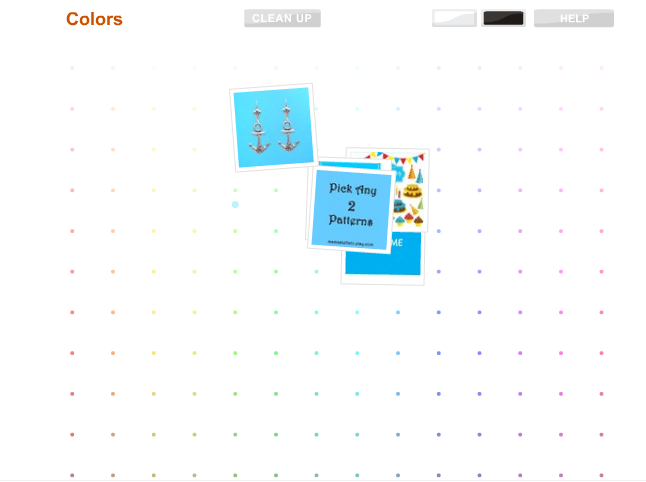 This engaging application allows users to customize a product to buy, share, or save for later. Your users may prefer to build, color, size, or otherwise spec out their purchase before buying. Chemistry.com sends users through a form resulting in ideal date recommendations. While poorly-designed forms can hinder a conversion, a smart recommendation tool gives companies the unique opportunity to build the position as the expert in their field. Many clients request applications similar to this in order to deliver case study and whitepaper content relevant to a user’s specific situation. Sometimes a really great product page is sufficient to drive more conversions for your products. Usability testing can help you optimize product categories, filtering options, and page design. Overstock.com allows a user to quickly research a large database of products, minimizing the window for potential drop-off on the site. Do you need a new shopping experience for your users? Contact us for a consultation.